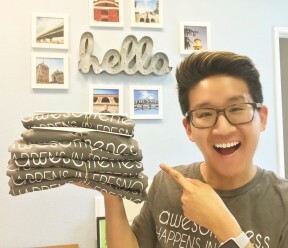 KRL has often written about the many wonderful things that Clovis resident Justin Kamimoto has been involved in through the last several years. They have included a program to feed the local homeless and provide them with blankets during the winter, his work when he was in high school with GSA (Gay-Straight alliance) clubs, MY LGBT PLUS, and more recently COMMON SPACE. Justin also wrote for KRL early on. We have watched this young man grow into an amazing person doing amazing things. 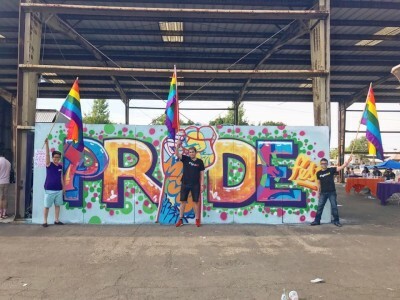 The first weekend of Pride Month seemed like the perfect time to catch up with Justin about what he is up to now, and re-introduce COMMON SPACE and MY LGBT PLUS to our readers. KRL: What is COMMON SPACE? Justin: COMMON SPACE is a nonprofit incubator and social gathering hub. Our mission is to bring people together to collaborate and create incredible possibilities. KRL: What is your title with COMMON SPACE and MY LGBT PLUS? Justin: I am the Founder & Executive Director of COMMON SPACE, and the Founder of MY LGBT PLUS. KRL: When did COMMON SPACE first open? Justin: COMMON SPACE opened on April 2, 2017. KRL: What inspired the idea forCOMMON SPACE? Justin: The idea of COMMON SPACE is inspired by the idea to see change happen in our Central Valley region. Our goal is to get people to come together (both leaders and people on the ground level) to discuss sustainable ways we can make change happen for our community. COMMON SPACE is an idea two and a half years in the making before it launched because we wanted everything close to being perfect. Justin: Places like COMMON SPACE are important for many reasons. Nonprofit organizations as a whole have a wide spectrum of operating budgets, focus areas, and people leading them. We bring together diverse leaders, that include our millennial generation, under a strong value system of equality and integrity. On the flip side, because we are a meeting and event venue space, COMMON SPACE hosts a number of personal and professional groups to better people in general. KRL: What type of events take place there? Justin: COMMON SPACE hosts personal and professional development events, on top of events that bring the community together. We host ArtHop, have regularly scheduled nights for support groups, and more! Each month is different in the fact that our programming is diversifying as we grow and more people learn about what we do at COMMON SPACE. KRL: What are your future goals? Justin: Our goal is to expand COMMON SPACE to a space seven to eight times larger than what it currently is because we are busting at the seams. We have fourteen different nonprofits that utilize COMMON SPACE in a variety of ways to their needs of growth. 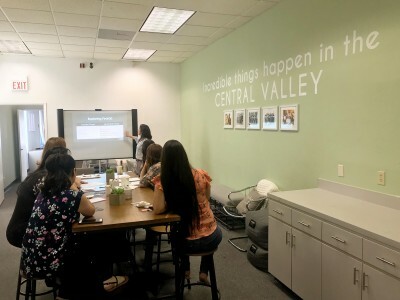 As these nonprofits join our collaboration efforts, we are getting to the point where we need multiple conference rooms, meeting areas, and private office spaces. The ultimate goal is to be a one stop shop for nonprofit leaders and for those receiving support services to be housed under one roof. We will still be staying in Downtown Fresno to make that happen.? ?COMMON SPACE will also be launching a creative consulting branch to better serve our community. We will be offering services such as event management, digital media management, graphic design, and organizational development services at a sliding budget scale to nonprofit leaders. KRL: What is My LGBT PLUS? Justin: MY LGBT PLUS is dedicated to connecting, interacting with and supporting the LGBT+ community. LGBT+ for us means that we include everyone. As new ways to identify come out, we want to ensure we are a resource for everyone. KRL: When, and how did it get its start? Justin: MY LGBT PLUS started in 2011 as a virtual program. 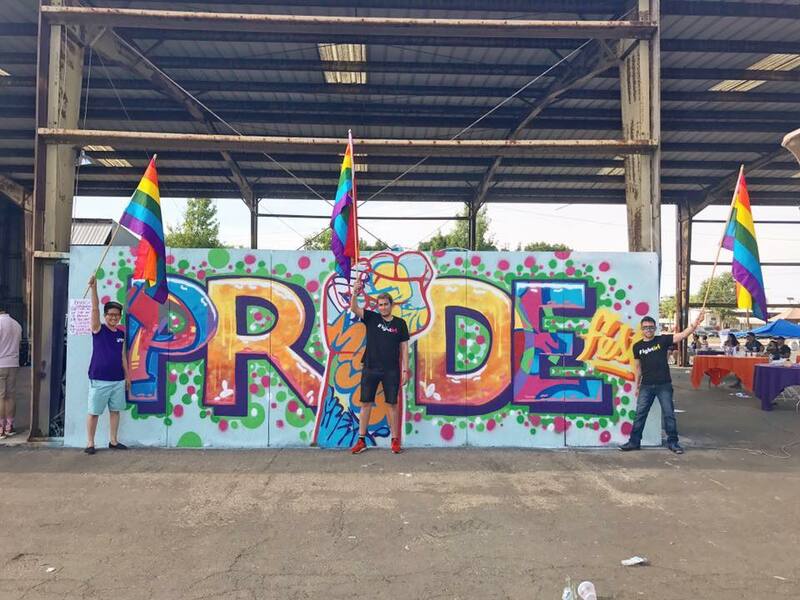 We started as a Facebook group called LGBT+ Groups of Central Valley to be a place of support online, where people already are. It was during that time in 2011 that LGBT+ youth suicides were at an all time high. What grew from that Facebook group was a full fledged program that quickly recruited volunteers, told stories of LGBT+/Queer people and now is viewed, online, in 114+ countries around the world. KRL: How does it tie in to COMMON SPACE? Justin: MY LGBT PLUS is a program of COMMON SPACE. MY LGBT PLUS has their own volunteer team, but run under the guidance of our COMMON SPACE team to ensure growth on a strategic plan we both set out on. It’s also a prime example of how COMMON SPACE can be effective. MY LGBT PLUS was a program I started as a youth, and watched it grow. It wasn’t until COMMON SPACE opened that for the first time in many years we had an actual office space to host events, run support groups, and have people come to us. KRL: What are some of the events you are involved in or put on? Justin: MY LGBT PLUS has two signature events. One is our Queer Pop Up Shop, a one day genderless shopping experience where people can purchase clothes in a brown bag sale to go home with items that represent them. The other is Drag Queen Story Hour.?? COMMON SPACE hosts many events, some behind the scenes where we assist nonprofits that utilize our space, with event planning. We will be hosting many professional development events like professional headshots, resume/cover letter writing, and educational workshops geared towards nonprofit leaders. 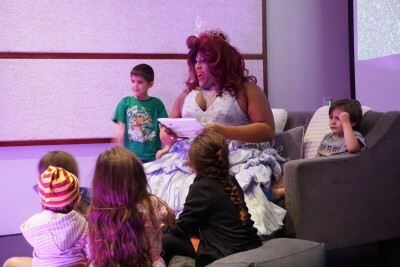 KRL: Please share with us about the Drag Queen Story Hour? What is it? How did it come about? Why do you feel this is important? And when will there be another one? Justin: Drag Queen Story Hour is an event we brought to Fresno in 2017. DQSH was such a huge success that we hosted the event again a few weeks ago at Bitwise Industries. These type of events are important because not many events are geared to LGBT+ families. 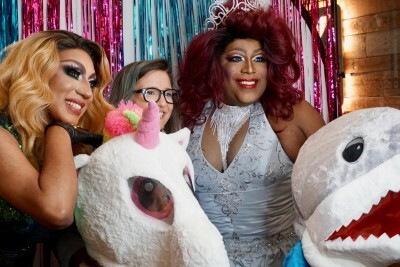 In addition, this gives an opportunity for the drag queen community to give back in a meaningful way. The kids love this event because it’s story time, but more interactive and a chance for them to dress up. It’s like a fairytale come to life! We plan on hosting this event two more times in the future. KRL: Do you have any current needs? Justin: Fundraising to Phase 2! We will be launching a capital campaign in mid to late June that will get COMMON SPACE to Phase 2. 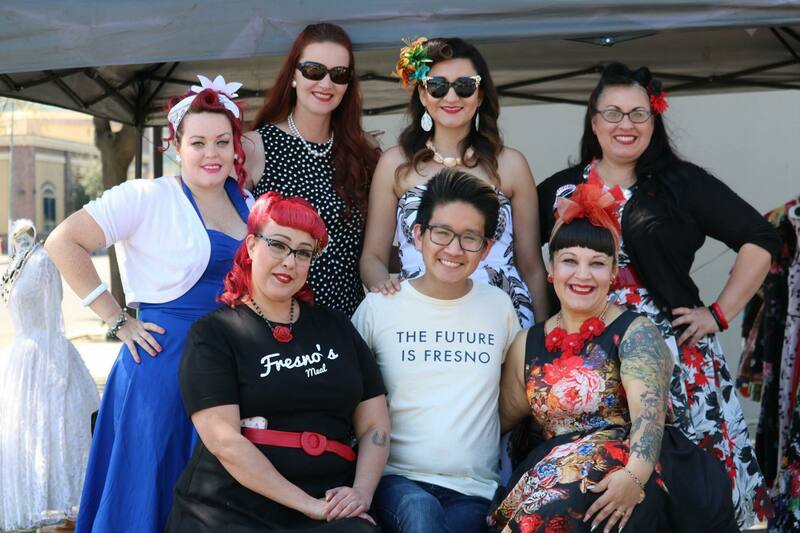 Our fundraising goal is set for $150,000 to move into a 9,000 square foot space in Downtown Fresno. We’ve had great successes with fundraising thus far. Our Give Out Day campaign – part of a nationwide day of giving to LGBT+ driven organizations – raised over $7,000 in 24 hours. KRL: Where are you located online?? Justin: There is commonspacefresno.org and mylgbtplus.org, and we are on Facebook Common Space Fresno, Facebook My LGBT Plus, Twitter, and Instagram. 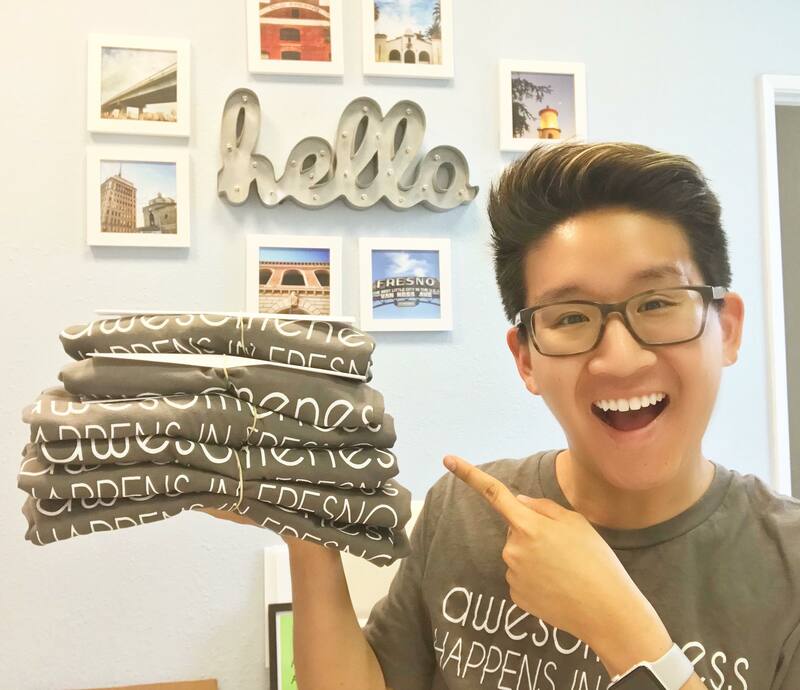 Justin: Our physical location is at 2915 Tulare Street, Fresno, CA 93721. We are open Wednesday through Friday from 5:30-8 p.m. Appointments to meet with us are also available. Keep an eye on the COMMON SPACE Facebook page for things going on there such as Art Hop-this month especially as their space will feature artwork created by Queer/LGBT+ identifying artists. And watch for their booth at the Fresno Pride Parade and Festival on June 2. EDITOR’S NOTE: We just learned the COMMON SPACE will become an official Safe Place in Downtown Fresno, you can learn more on this event page including info about the dedication and ribbon cutting! Lorie Lewis Ham is our Editor-in-Chief and a contributor to various sections, coupling her journalism experience with her connection to the literary, entertainment, and animal rescue worlds. Explore Lorie’s mystery writing at Mysteryrat’s Closet.